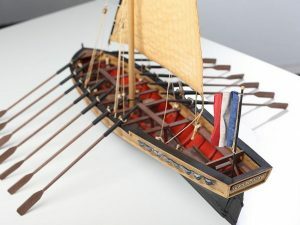 Classic frigate, belonging to the French Navy at the end of the XVIII century. 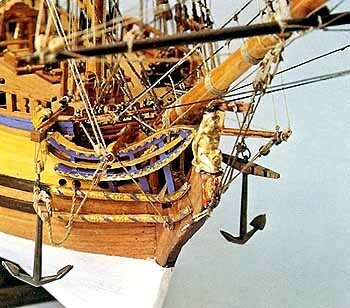 Equipped with 26 12-pound guns on the battery deck, besides 4 6-pound guns and 4 carronades of the main deck. 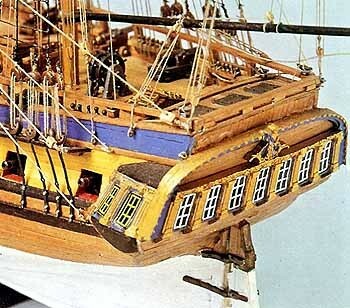 Classic frigate, belonging to the French Navy at the end of the XVIII century. 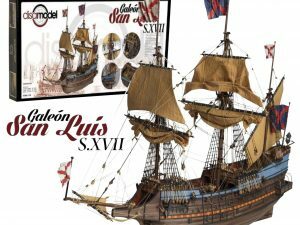 Equipped with 26 12-pound guns on the battery deck, besides 4 6-pound guns and 4 carronades of the main deck. 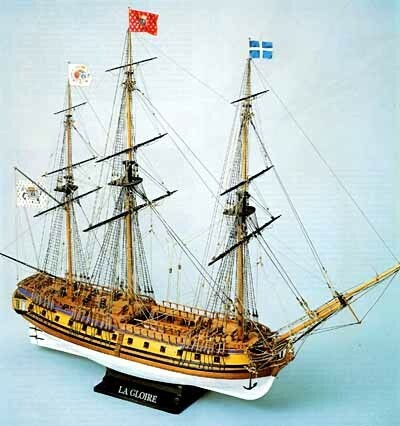 La Gloire was planned by the shipbuilding engineer Guignace, and was launched at St.Malo in 1778. 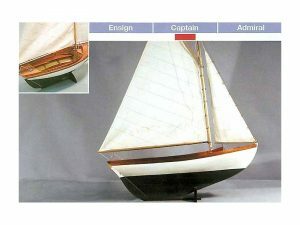 The model is the reproduction, of the ship during the first year of navigation, with the bottom painted white. One year later, in June 1779, like with many other ships, the submerged part of the hull was sheathed with copper plates to protect it from corrosion.